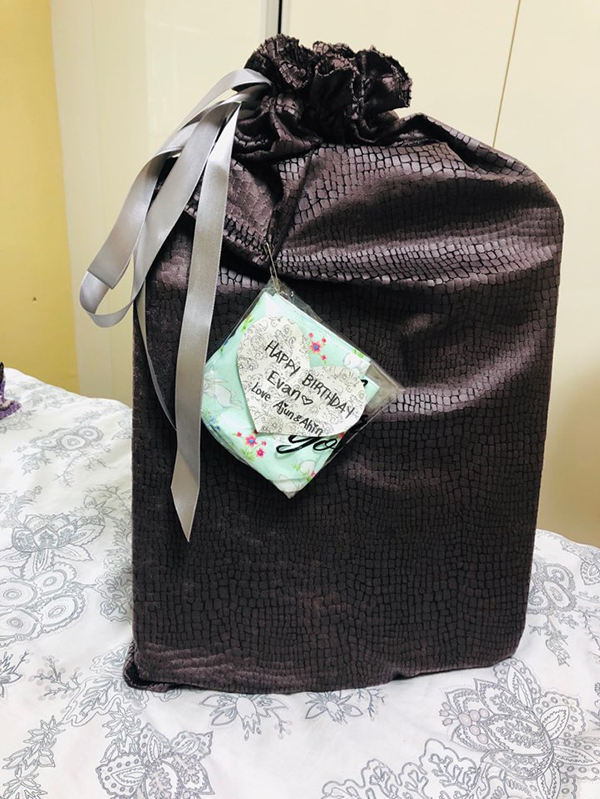 Note from Alanda Craft: Stephany’s drawstring gift bag is much larger than the original. The pattern in our draw string gift bag tutorial allows you to make whatever size you need for your gift. I love the sheen in the material Stephany has used for her gift bags. 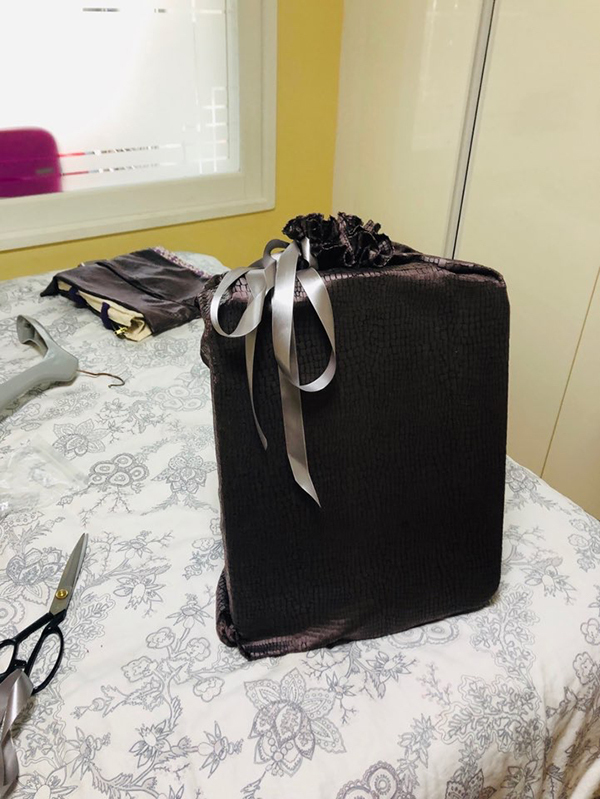 You can the first gift bag she made, here. I am still making your lovely bags. This was a large one… I think roughly 34 x 37. I made a few mistakes but I feel that this pattern lets you get away with lots of error and still look beautiful. Thanks again for your wonderful tutorials.